Cricket has always been the favorite sport of the country and from the very beginning India has produced great Cricketers at international level. One Such cricketer was Dileep sardesai and the world is celebrating his 78th birthday. He was the only Goa born cricketer to play for India. He was often regarded as India's best batsman against spin bowling. Sardesai made his first mark in cricket in the inter-university Rohinton Baria Trophy in 1959–60 where he made 435 runs at an average of 87. He made his first-class cricket debut for Indian Universitiesagainst the touring Pakistan team at Pune in 1960–61, scoring 87 in 194 minutes. This immediate success led to selection for the Board president's XI against the same team at Bangalore, where he scored 106*, and then as a standby in the final match of the Test series. He scored 202 against Madras University at about the same time, and was then selected to represent Bombay in the Ranji Trophy. 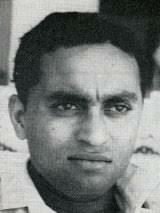 He was one of the five Indian Cricket Cricketers of the Year in 1960–61. Sardesai made his Test debut in the 2nd Test against England at Green Park, Kanpur in December 1961. 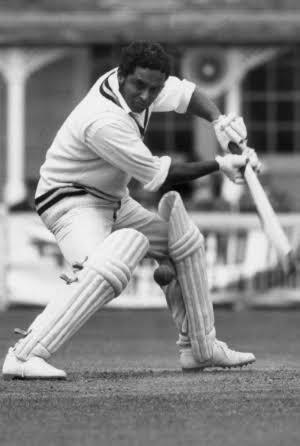 Sardesai scored 449 runs in the five Test series against England in 1963–64 with 79 and 87 in the 5th and final Test as the most notable performances, helping India to secure a draw after being made to follow on. Against New Zealand in 1964–65, Sardesai scored a double century at Bombay and a very fast hundred that set up a win at Delhi. In England in 1967, he injured himself on a staircase in the pavilion at Lord's and missed the 1st Test at Headingley. He recovered to appear in the 2nd Test back at Lord's, but a broken finger couldn’t sustained during that match. He was dropped after two Tests in Australia in 1967–68 due to injury and a series of failures. Sardesai's career had seemed over but then again he was picked for the Indian tour of West Indies in 1970–71. In the 1st Test at Kingston, India lost the first five wickets for 75, before Sardesai hit 212 runs and took the total to 387. His 112 in the next Test at Port of Spain led to India's first victory over West Indies. He hit another 150 in the 4th Test after India were 70 for 6. His 642 runs in the series stood as an Indian record for five days before Sunil Gavaskar went past it. It was India's first victory over West Indies in a series and Vijay Merchant, the chairman of selectors, called Sardesai the "renaissance man of Indian cricket". Sardesai scored 54 and 40 in the Indian win over England at the Oval in 1971, which led to another series win. His career ended one Test later, and he retired from all cricket at the end of the 1972–3 season. Sardesai played for Bombay in the Ranji Trophy in 13 seasons, including 10 finals, and never finished in a losing side. Sardesai's final first-class match was the famous Ranji final against Madras in 1972–73, which ended on the first ball of the third day. Indian Starlets in the final of the Moin-ud-Dowlah Gold Cup Tournament. 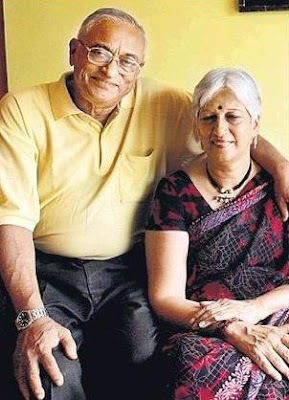 He is survived by his wife, Nandini, who is a sociologist and a member of the Indian Censor Board for motion pictures. His son Rajdeep Sardesai a prominent journalist, earned a blue for Oxford University in cricket. He was the Editor-in-Chief of IBN18 Network, that includes CNN-IBN, IBN7 and IBN-Lokmat from where he left in July 2014. His daughter, Shonali, is a senior social scientist at the World Bank in Washington DC. His son-in-law Taimur Baig is the Principal Economist at Monetary Authority in Singapore. His daughter-in-law Sagarika Ghose is a Rhodes Scholar, journalist and author. His grandchildren are Ishan, Tarini and Aman. Sardesai use to spend his time in his flat in Bombay and house in Goa. He died on 2 July 2007 at 9:15 pm, after he had been admitted to Bombay Hospital on 23 June following a chest infection. Sardesai was popularly known as 'Sardee-man'. During his successful 1970–71 tour there, Sardesai was asked at the airport whether he had anything to declare. 'I have come here with runs', he replied, 'and I'll go back with more'. Google has also changed its doodle in the memory of this renowned player.